On September 12, 2006, ground was broken on a new multipurpose event center that would eventually become home to a new ice hockey team. On February 22, 2008, the North American Hockey League granted Wenatchee Junior Hockey, LLC. with conditional approval for an expansion team. On May 20, 2008, Wenatchee Junior Hockey, LLC. announced the franchise would be the “Wild”, with the name being chosen by a “name-the-team contest” held at local schools. The Wild played their first game at the NAHL Showcase on September 17, 2008, losing to the Motor City Metal Jackets 2-1 in overtime. The home opener saw over 3,600 fans file through the doors, though the visiting team from Topeka prevailed 5-0. Despite the rough start, the Wild roared back to finish the season strong, making a championship run in that first season, winning the West Division playoff title but losing the Robertson Cup Championship game, 3-2 in overtime. 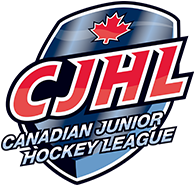 The following season, they came back and won the West Division championship in 2009–10, but were eliminated in the round-robin championship tournament. On May 13, 2013, the Wild lost their first and only game during the 2013 Robertson Cup Championship Tournament to the Amarillo Bulls 5-0 during the Robertson Cup championship game in Frisco, TX. 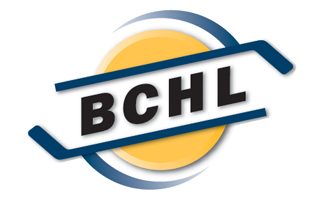 Earlier, on January 19, 2013, USA Hockey approved the transfer of the Wenatchee Wild from the NAHL to the British Columbia Hockey League (BCHL) for the 2013–14 season. However, on May 14, 2013, the Wild announced they would instead relocate the franchise to Hidalgo, Texas and play as the Rio Grande Valley Killer Bees of the NAHL. Eight days later, on May 22, 2013, the Wenatchee City Council approved a deal to allow David and Lisa White to move the Fresno Monsters (NAHL) to Wenatchee and adopt the Wild name and logo. On June 4, 2013, the Whites announced they had retained coach Bliss Littler from the previous franchise . The move to the BCHL has been a positive one on every front. Fans have raved about the increased level of play. The travel demands are far more favorable with the average road trip on the bus being just over 6 hours, and many closer to 4 hours. In the Wild’s second season in the BCHL, they recorded their best regular season in team history, going 45-9-4 and winning the BCHL’s Ron Boileau Memorial Trophy for having the top record in the league. The 2017-18 season marked the ten year anniversary of Wenatchee Wild hockey, and with it came the BCHL Fred Page Cup Championship, followed by the CJHL’s Doyle Cup Championship as winners of the Pacific Region in a best-of-seven series against the champions of the Alberta Junior Hockey League. The Wild swept through the round robin portion of the Royal Bank Cup (now called simply the National Championship) but lost the semi-final game, 2-1.